This is another custom from my "Blue Shirt Legion" project. 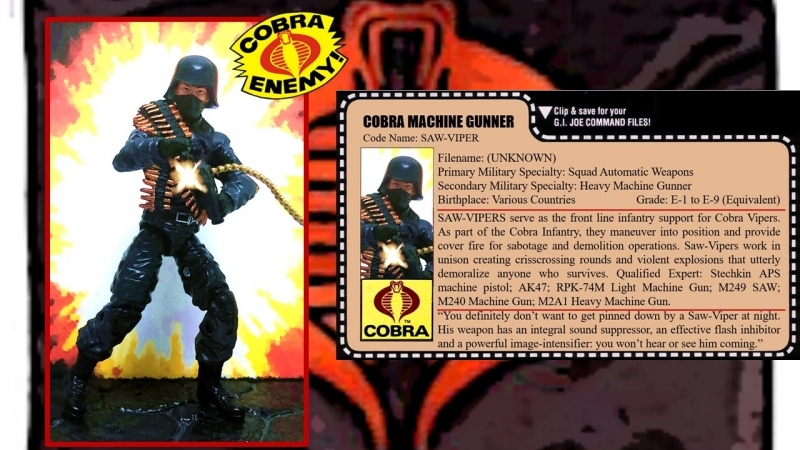 Also, this guy represents the "anti-Rock n Roll" of the Cobra Legion. This is an idea I've borrowed from fellow customizer HissHissFangFang. 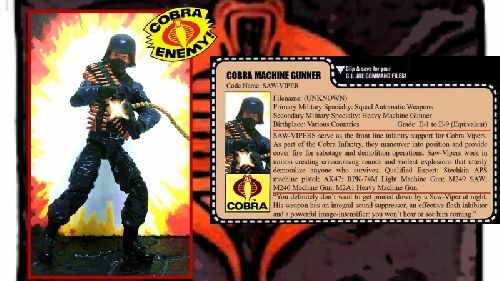 There is actually a Cobra Machine Gunner firing an M60 in Marvel animated commercial #19! Originally, I swapped out the knees from the Cobra Shocktrooper with the 50th 3pk (Wolf Squad) Outback. 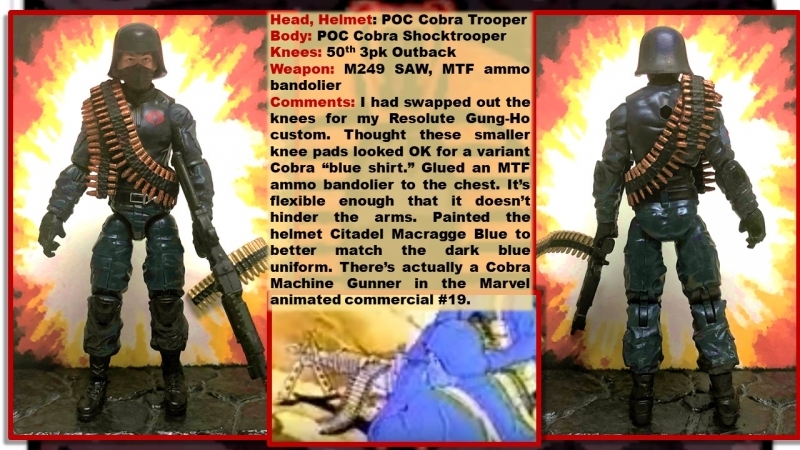 I thought the smaller knee pads looked OK for a variant Cobra "blue shirt" trooper. I glued the MTF ammo bandolier to the chest, which allows the Cobra emblem on the left side to show. The bandolier is flexible enough that it doesn't hinder the arms. I painted the helmet Citadel Macragge blue to better match the dark blue uniform.